Mongoose Casino is dedicated into giving a genuine mobile casino experience to our players and we truly value loyalty shown by our players. To show our gratitude, Mongoose Casino Mobile offers a progressive VIP program that unlocks and adds benefits to our VIP customers. Our VIP program is tier based which intends to healthily reward our loyal customer base. We justly value all our players but there are players who we just like to give that extra bit of attention, reciprocating to the attention they have given us. What is this VIP club? Mongoose Casino VIP club is a loyalty program designed to benefit and reward our loyal players. There are various stages within the VIP club and as players climb up the tier, they unlock various benefits which include access to various exclusive promotions, personalized customer support, better point redemptions and more. Who is a Mongoose Casino VIP? A player who has recently registered with Mongoose Casino gets to be a VIP, and as they wager and win in our casino games, they move up the VIP level within the club. There are no criteria for participation in our VIP club, anyone and everyone is a part of the club; the only criteria are entry points which help you move to the next VIP level above. Mongoose Casino VIP climb has 6 tiers; each unlocking various rewards as players climbs up. Collecting comp points and redeeming them is a straight forward process which does now require players to get out of their ways. There are no special codes or handshakes involved in the process, just regular steps and proceedings that a real money player needs to follow such as signing up, depositing, game play etc. 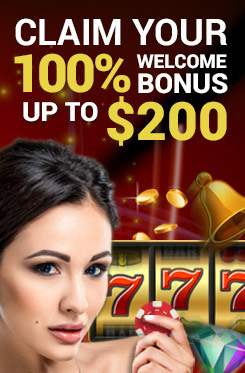 See more mobile casino promotions here.